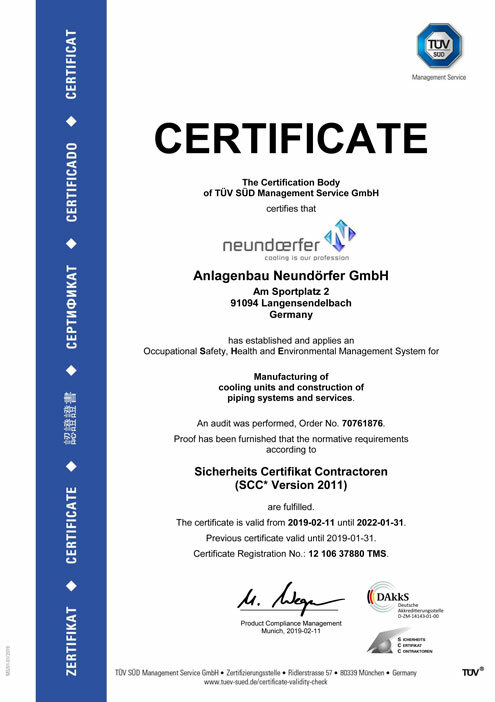 In January 2001 the company Anlagenbau Neundörfer was already the first company in Bavaria to have the management system ISO9001: 2000 certified by the Bavarian State Trade Agency. Since then all re-certifications and re-exams have been passed successfully. With the first possibility in 2016 we already switched to the current version ISO9001: 2015. The introduction from 2015 and certification in 2016 of the environmental management system ISO14001: 2015 was from the company-specific perspective only a logical consequence. In order to meet today's high safety standards in our own company and on construction sites, the SCC * (Safety Certificate Contractors) certificate has been available since 2009. Like the two management systems mentioned above, this is subject to an annual inspection by an independent testing institute (TÜV-Sued). The company Neundörfer has an European welding engineer (EWE) and an expert welding specialist, who live quality awareness beyond the existing HP0 / HR100 certification. Due to the production method our systems are unique. 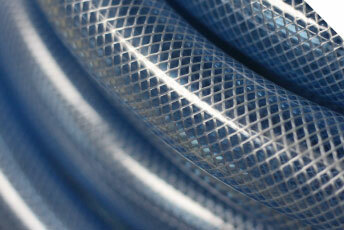 No two welds are the same on their own. Therefore, it is important to us to ensure a high degree of traceability over the individual components right up to the last weld. This is the only way can we meet our quality standards.